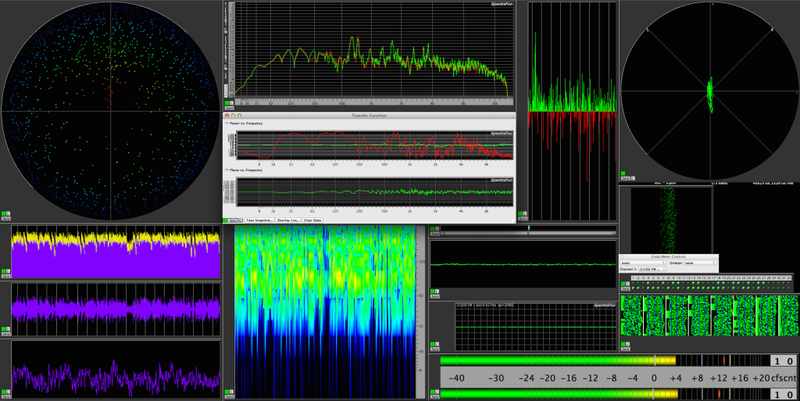 This website is a clearinghouse for audio measurement related information with an emphasis on live audio measurements. The goal is to provide useful information regarding how to measure, verify and optimize a sound system, test audio gear to verify proper functionality and to explain the principles of sound system design and optimization as I learn them myself. I am incredibly fortunate to have some world class measurement engineers as friends and associates that are willing to share their knowledge. In the year 2018, measurement software and related hardware is relatively inexpensive and most of the information one needs to advance in this field is available in Bob “6o6” McCarthy’s book, “Sound Systems – Design and Optimization 3rd Edition“. If you buy it via the previous link and it’s not already on sale, use SSD20 as a discount code for a 20% discount at check out. If you have specific questions about putting together your own measurement rig or how to use it, feel free to contact me. I post about my various measurement experiments and experiences on the BLOG page to the left of the site. Many times I am posting during a tech rehearsal or late at night after a show so I apologize in advance for incomplete posts. If there is something you’re especially interested in and I’ve failed to finish a post on that topic, contact me and I’ll prioritize finishing it. In this case the squeaky wheel gets the most grease. This site is self sponsored. Consequently decisions about content are mine to make and not based on any outside pressure or influence. It is my goal to maintain a site that is relatively neutral. With that stated, I naturally use and discuss gear I own personally and come across on shows. What is the acronym for fast fourier transform?